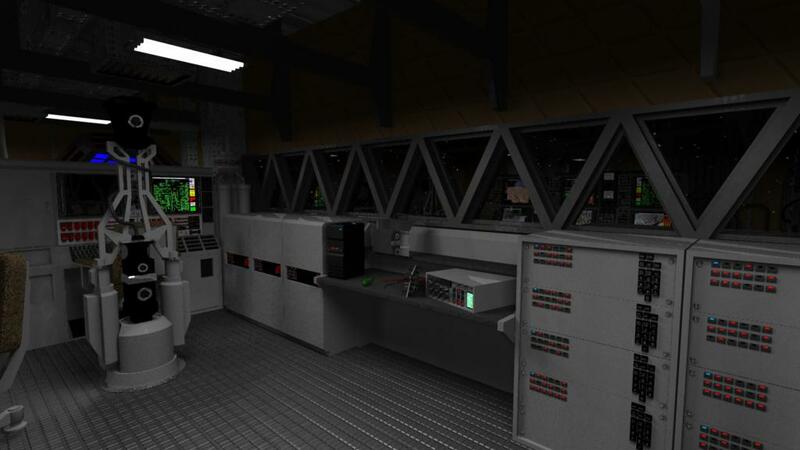 Fault-finding test animated walkthrough of the Triton Base control room interior (over 30 issues identified). 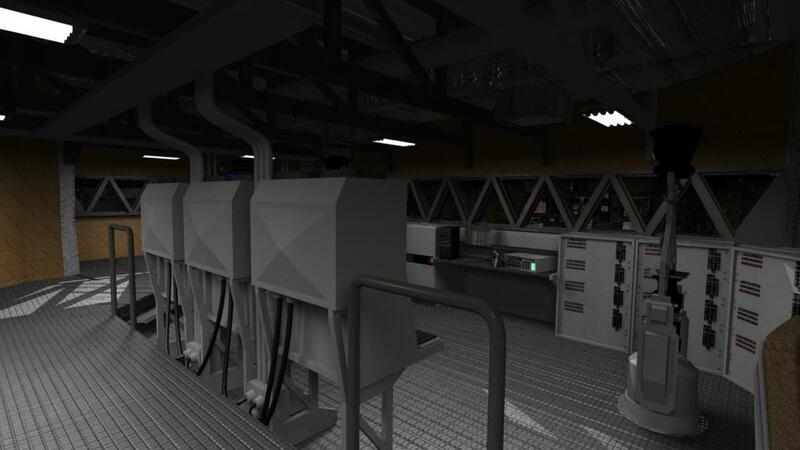 3 frames from a test ‘fault finding’ walkthrough animation of the modelled interior of the control room, designed to highlight issues requiring attention. 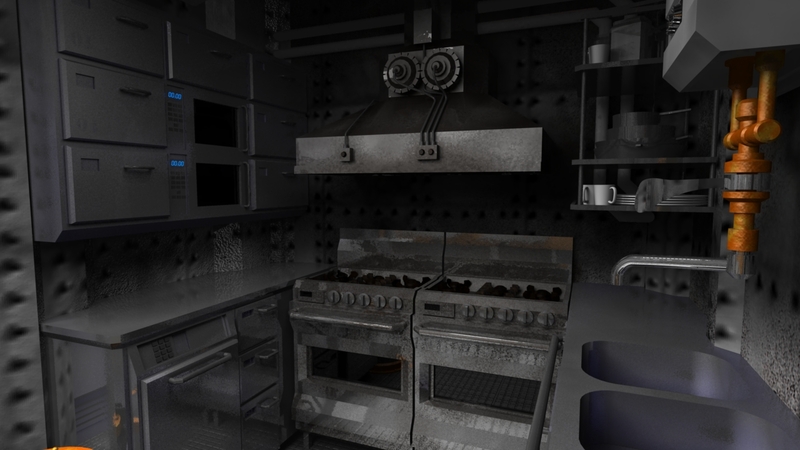 WIP shots of the galley which opens directly into the control room. Further work being done to add signs of human occupation including posters/photos on walls, dirty dishes etc., also architraves and buttresses to be revised. Below are some interior shots with some explanatory notes for review, please forward any comments, ideas, problems etc. IMAGE 2: From the control area near the angled corner windows. 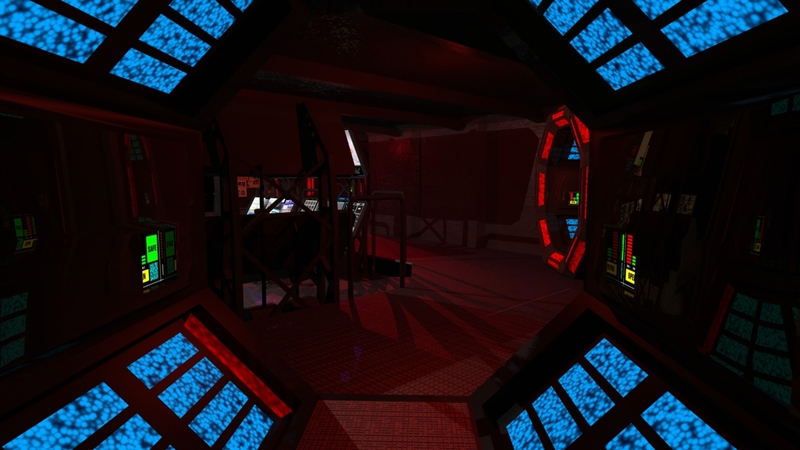 To the right is the corridor to the main airlock, mid background is the corridor to the habitat section. 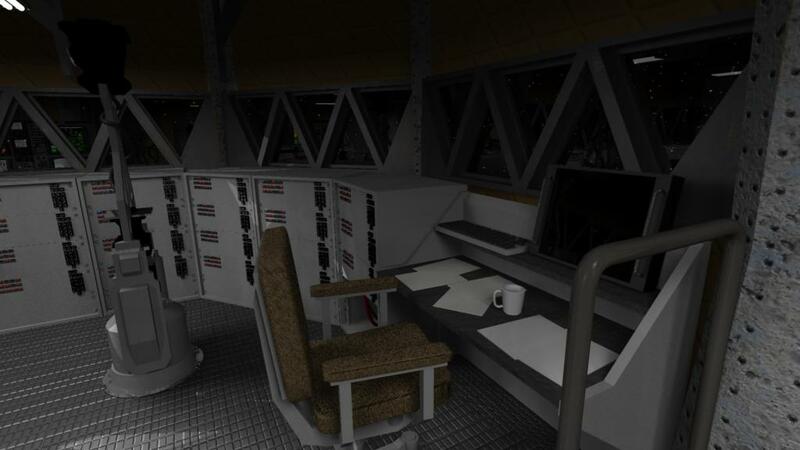 The control console beneath the windows has only been partially modeled, as it is not seen in the current shot. 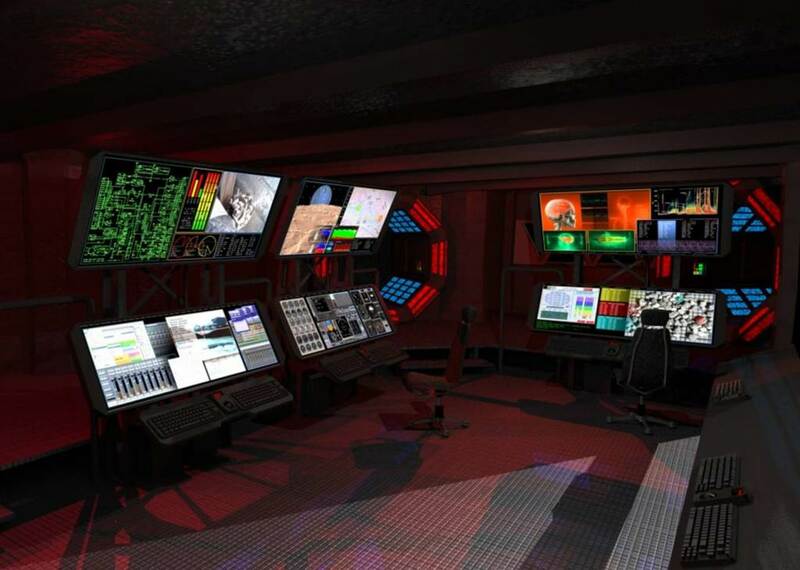 Visible display consoles are displaying mine operations, remote sensing satellite feed/control, EVA mission brief/data/biometrics (Jenna). Final shots could have these screens rotoscoped with moving images and ‘blinkies’. IMAGE 3: From same position as above. 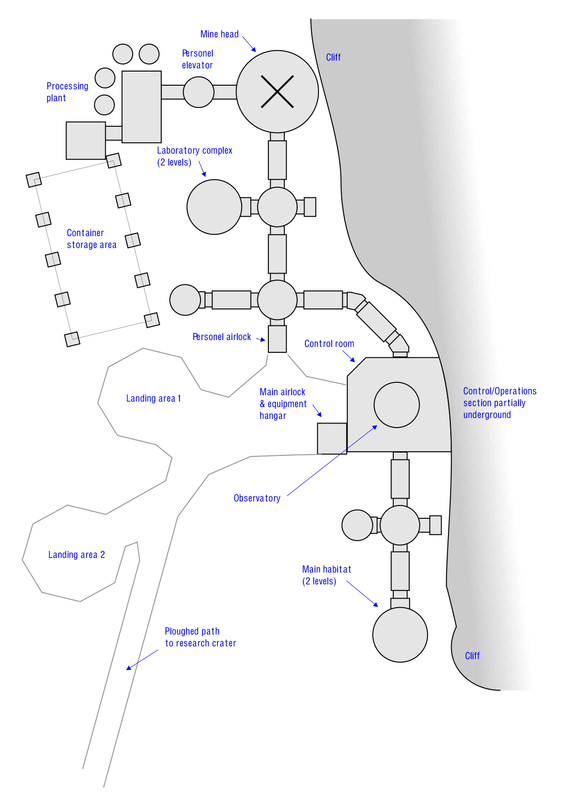 At left are corridors to the mine operations section and to the rear of the control bunker complex. Just visible at extreme left is a notice board, I imagine more of this sort of thing on the other currently-blank walls such as photos and kids’ drawings from home, posters of favourite movie stars etc., the sort of thing people do when away from home for a very long time to make it more ‘homey’. 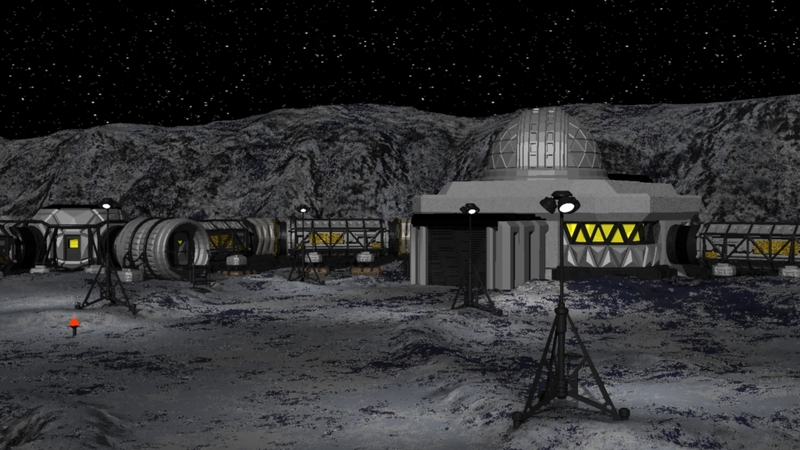 Note that the front wall and triangle windows have not been included in this model due to the need to Green screen with the exterior shots, they can be added later if more interior shots are planned. Basic modelling and Triton surface complete, pending approval. 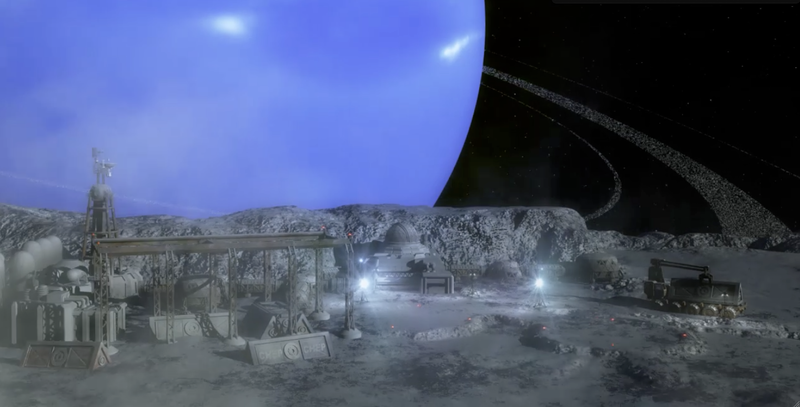 The terrain is based on an actual orbital shot of Triton, so it should be possible to create a seamless zooming sequence from the satellite to a closeup of the base, as per the storyboard (test shot underway). 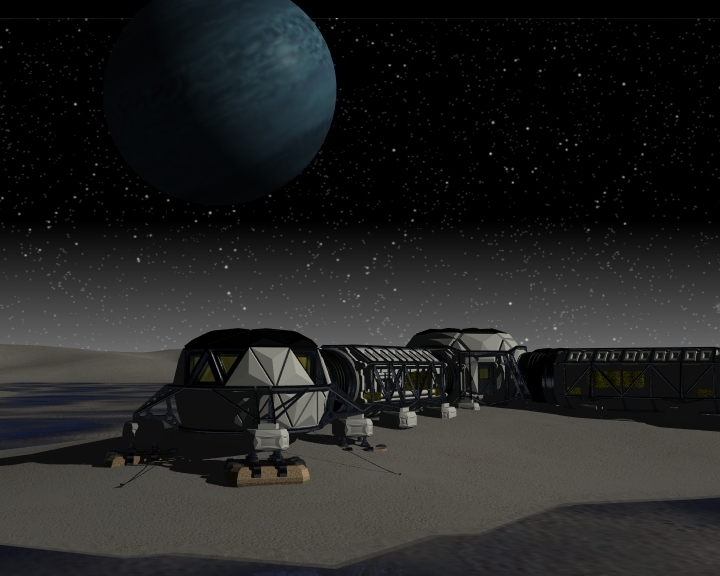 Image 1: Long shot of the base and mine. 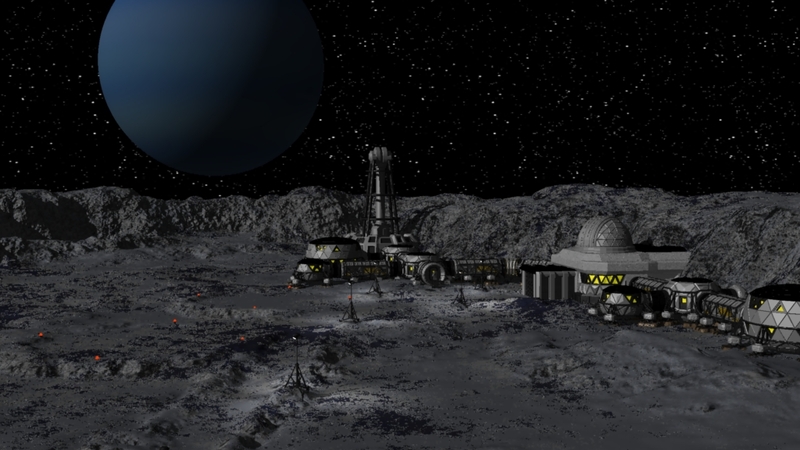 To the left are the two landing areas and to the right the control room, with rooftop observatory dome, and habitat complex. Centre foreground is a ploughed track leading to the research crater. Centre background is the main mine complex. 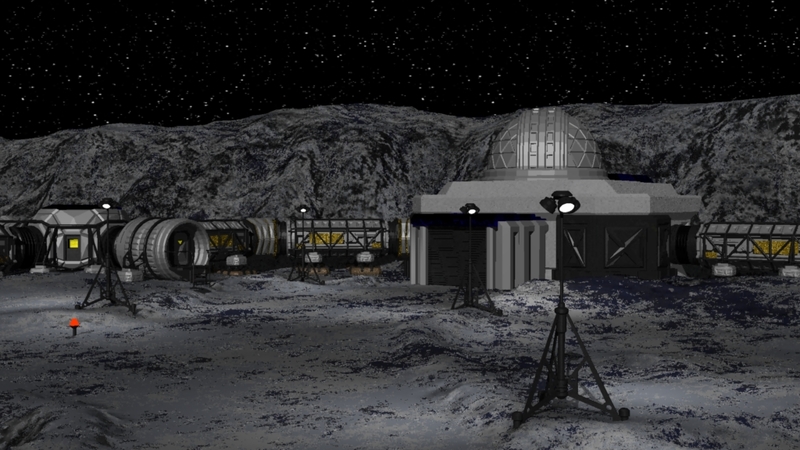 Image 2: Closeup of the control centre, equipment hangar and main personnel airlock (horizontal cylinder). Image 3: Same as image 2 with meteor shutters closed. In this shot the ‘terminal pod’ has been redesigned to sit lower, with flatter upper and lower sections, and wider pontoons. Also visible is a 4-way hub section and a couple of corridors. The Triton surface treatment and terrain map is still in development but it now shows some topographical features and the station is partially buried in a drift. 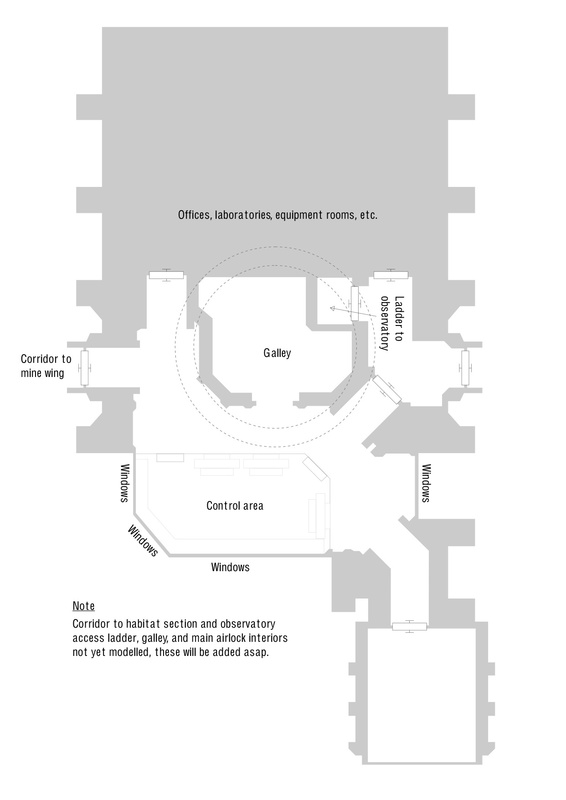 Note that the arrangement of pods and corridors is also temporary, this is only to show the sections ‘in situ’, as part of the whole base rather than as a single item. 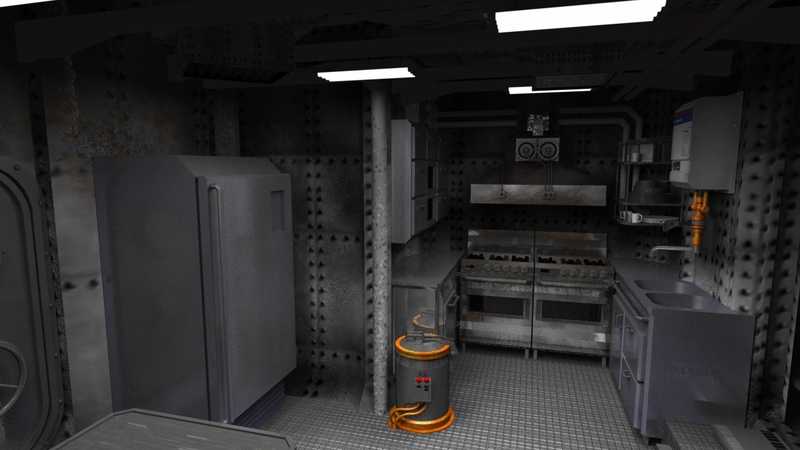 The control room/bunker concept is still in development, as are the mine, landing platforms, power plant, etc. Initial concept idea for basic contruction of the Triton surface base. 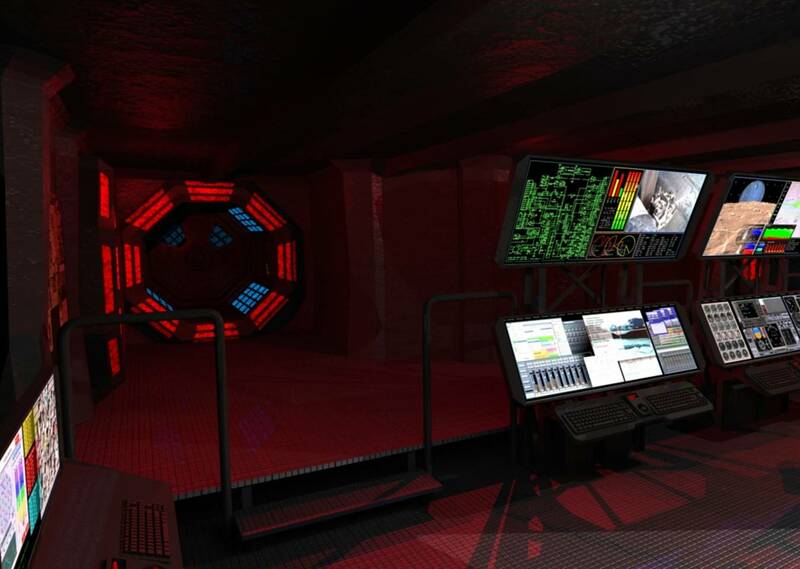 Shown is one ‘terminal’ pod section, one of 3 or 4 different module types which will include hub sections, corridors, control centre, observatory, main airlock, secondary airlock(s), habitat module, remote power plant, etc. 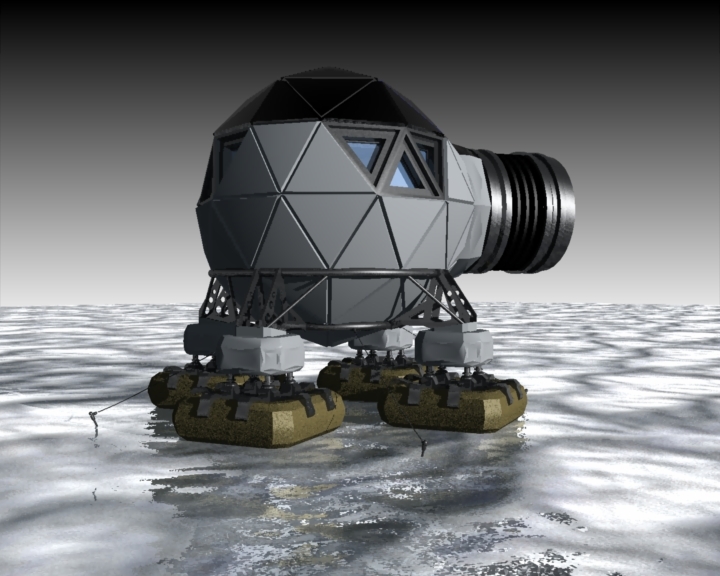 The basic construction is geodesic and the most obvious feature is the thick thermal insulation covering most surfaces. There is little use of conventional metals due to their high thermal transfer properties and brittleness at extreme low temperatures, instead isocaloric ceramics are used for most structural parts. The pod sits on evacuated-cell foam pontoons with both long-term isocaloric and adhesion characteristics to reduce pod sinkage due to surface evaporation and the tendency for the pod to slip laterally (backed up with pitons/cables) in the slight but measurable Triton winds. To the right is shown the flexible connection that will join this pod to the rest of the station. 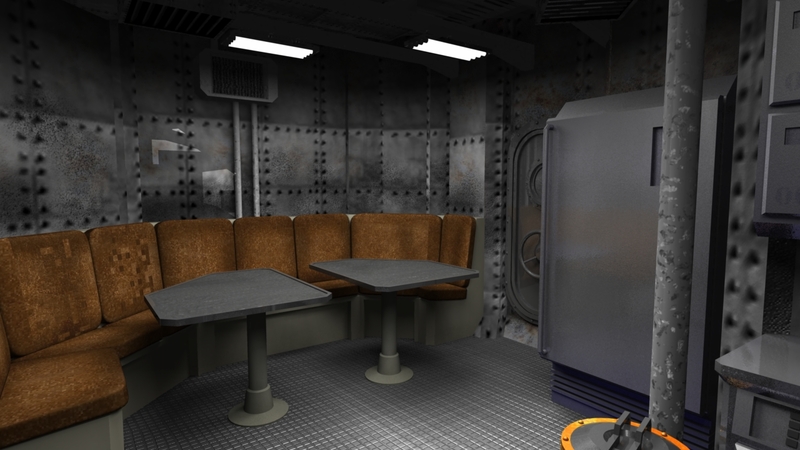 Yet to be added is a further layer of detail including hinged shutters over the view ports, gold-foil heat shields beneath areas with low thermal insulation (eg. flexible connections), and general ‘greebles’ including conduits, escape hatches, external connectors etc. 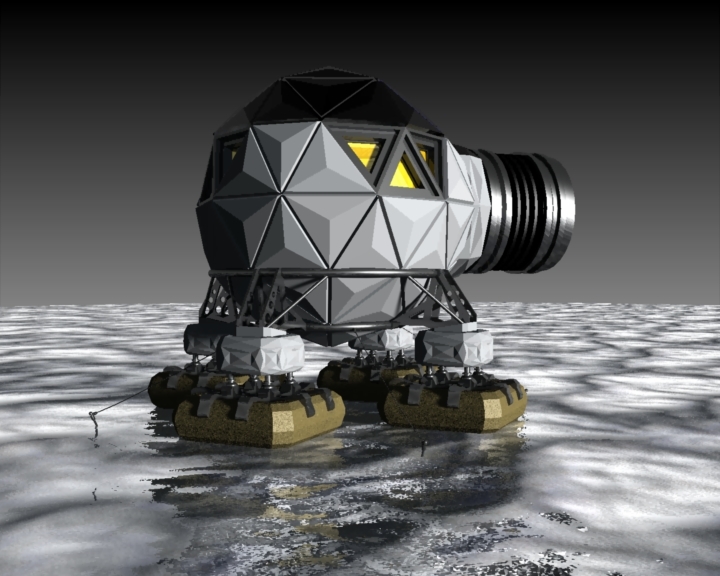 The surface terrain is a placeholder only and is a first test for close-up ice surface. 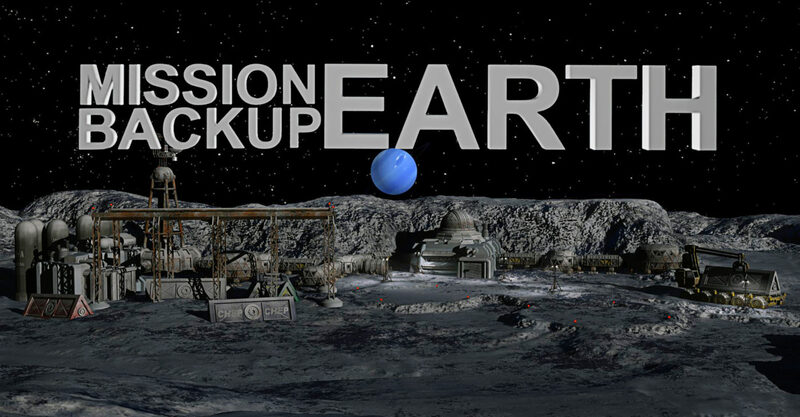 The final ‘scene’ will likely include some geological features such as tectonic fault rifts and frozen gas plumes, possibly reddish in colour as trapped methane is converted to carbon under UV glare. Anyway, feedback is much appreciated at this point to ensure I am on the right track. 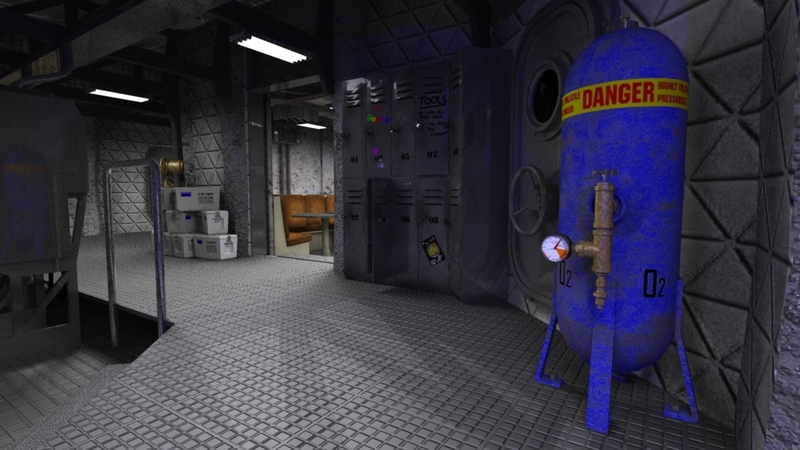 EDIT: Added a second render with correct edge creasing and a few tweaks to materials and lighting.